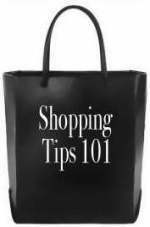 Shopping tip 101 Shopping tip One of the best ways to stay focused while shopping is to take a picture with you out of one of your favorite magazines. If you take an image with you, not only will it help you and a sales staff to pull together the look you want, but it will also help you stay focused on what you came to the store for in the first place as well as save money. Was a woman ahead of her time. Gabrielle Bonheur Chanel revolutionized the way women dressed. She wasn’t the first to design women’s clothing without boning, but she was the first to design clothing that was chic, comfortable and modern. A strong willed and independent spirirt, she was a feminist before feminism was clearly defined or popular. She used jersey knits and was inspired by the practicality men's clothing. Clearly creating her unique “look”. Ms Chanel contributed two indispensible pieces to women’s fashion, the little black dress and the collarless jacket. “I don’t do fashion, I am fashion” Chanel would say. Gabrielle Bonheur Chanel was born in a poorhouse on August 19,1883 in Saumur France. Her mother died when she was 12. Her father took her and her sisters to an orphanage run by nuns where she lived for next six years. There, she and her sisters learned basic homemaking skills that included sewing. During school vacations she stayed with her relatives, who taught her, more intricate sewing skills then she’d learned from the nuns. At 18 she left the orphanage and briefly went to the Notre Dame boarding as a charity case. She slept in a room without heat and scrubbed floors in return for her tuition. From there, she took a job as a shop girl for a milliner picking up odd jobs on the side for additional income. She also worked briefly as a cabaret singer where she first used the name “Coco”. It was at this time she met the person who would change her life, Etienne Balsan. He was the son of a wealthy textile baron whose parent had died at 18 leaving him and his siblings their fortune. Coco Chanel was invited to live at his estate as his 2nd mistress. She saw this a good opportunity to change her circumstances. Etienne gave extravagant parties for his eclectic group of wealthy friends, artist, courtesans, and his buddies from the Calvary. So for the next three plus years she lived in a lap of luxury staying at his castle known as the Royallieu and traveling with Etienne. During one of her trips she met Arthur “Boy” Capel. According to Coco Chanel he was the only man she truly loved. Balsan financed Chanel first venture a small shop below his apartment in Paris selling hats. Although she had developed quite an impressive list of wealthy clients, she wanted more. Tired of just selling hats and hating the Belle Époque fashion of the day, Coco Chanel wanted to expand her horizons. In a few short years, she opened boutiques in Deauville and Biarritz; originally designed clothes for resort wear out of jersey, flannel and linen. Chanel expanded her store in Paris and no longer limited herself to resort wear. The 20’s thru the late 30’s Chanel became one of the wealthiest and most influential designers in the world. In 1920 the introduction of her 1st perfume was launched. In 1924 she hired Etienne de Beaumont to design jewelry. 1924 designed costumes for Le Train blue. 1925 her signature cardigan jacket was created.1926 the little black dress was born. She continued to redefine clothing for modern women in the 30’s, but WWII broke out in 1939 and the end of the golden era had come to an end. She closed her shop and fled to Vichy only to come back to Paris shortly afteward. While back in Paris she had an affair with a German officer, Hans Gunther von Dincklage. She was criticized and accused of being a spy. In 1945 after the war she moved with her nephew to Lausanne,Switzerland in exile until 1954. In 1955 she staged a comeback, which was not embraced by Parisians because of her dealings with the Nazi’s, but the British and Americans loved her new collections. 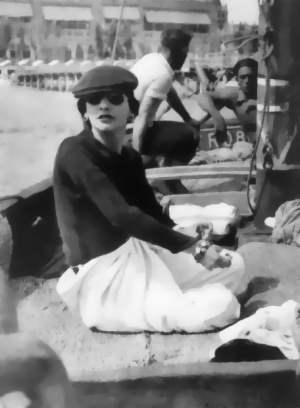 Gabrielle Bonheur Coco Chanel died in 1971 at the age of 87 in the Ritz Carleton Hotel. For all of her fallacies, she was an amazing human being who had a strong sense of self. She integrated masculine elements into her clothes, which helped break the mold women were put into. always has great examples of the Little Black Dress in his collections. His genius has continued to forge onward into the 21century leaving a wake in his path just as Gabriel herself did in the 20’s and again in the 50’s. The famous Chanel Jacket can be seen at every Chanel show. Karl Lagerfeld at 17 won the prestigious International Wool Secretariat competition along with 19-year-old Yves Saint Laurent in 1954. Both geniuses have been responsible in changing the face of fashion to this day. In the 60’s he was one of the first designers to focus on ready to wear. Freelancing his talent designing for various houses among them designing a fur collection for Fendi. He eventually went to work for Chloe where he spent 20 years. In 1993 he took a three-year break and focused on his own line of fun feminine dresses eventually taking over and breathing new life into the House of Chanel where he remains today. To say Karl Lagerfeld is a busy man is an understatement. He is the head of Chanel, Fendi as well as his own line in his namesake. He also an avid photographer, photographing the images for many of the ads we see for Chanel.